Lowrance®, a world-leading brand in fishing electronics since 1957, announced the release of the Lowrance Precision-9 Compass, which delivers heading and rate-of-turn information with an enhanced level of accuracy to Lowrance Outboard Pilot™, Broadband Radar™ and navigational systems over an NMEA 2000® connection. 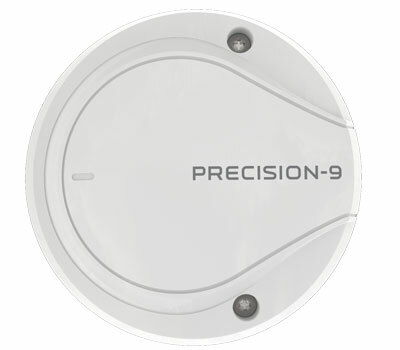 The Precision-9 Compass incorporates a sophisticated solid-state sensor array measuring motion on nine separate axes. Data from all nine axes is used to calculate the most accurate heading and rate-of-turn information possible, avoiding common limitations of conventional fluxgate electronic compasses. Once the compass is calibrated, it delivers heading accuracy of ±2 degrees, with a pitch and roll range of ±45 degrees. Measuring 4.69-inches across and 1.42-inches tall, the more compact Precision-9 Compass housing is ideal for discreet installations. An easily adjustable mounting bracket allows the unit to be installed on any vessel, in almost any location. It also may be mounted directly to any flat surface, and external up-mast installations are possible to avoid magnetic interference from steel hulls. Installation is further simplified by NMEA 2000 connectivity, with a single cable carrying both power and data. "Navigational accuracy is critical to our core values of enhancing anglers' enjoyment on the water, and helping to keep them safe," said Leif Ottosson, CEO, Navico. "By incorporating today’s more advanced heading technology, the new Precision-9 Compass maximizes the performance of our award-winning displays, autopilots and radars for the greatest level of accuracy."